Since we have such a great collection of adorable baby pictures to use on our Holiday Photo Card samples, we thought we'd make some people smile this week by posting a few baby photos every day on our Facebook page. As the holiday season warms up, we love seeing the delightful photos our customers use on their photo card orders. We hope our sample photographs help inspire them and provide helpful ideas for cropping, clothing and festive props (like agreeably huggable golden retrievers). Merry, merry! 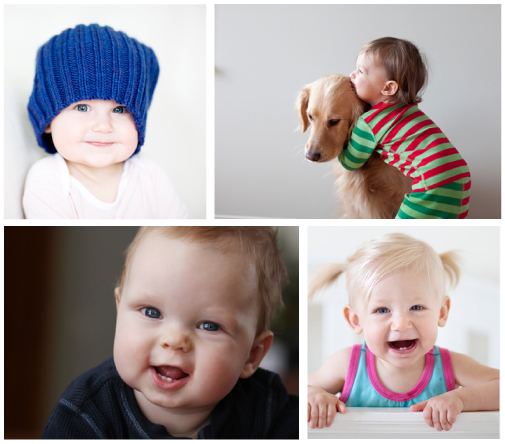 These cuties were photographed by (and happen to be related to) photographer Kari Herer.